For more than a decade now Erik Larson has been digging up episodes lost to history and bringing them to the forefront. In Issac’s Storm, he revealed a fledgling National Weather Service and recounted a hurricane of horrifying magnitude in 1900. With The Devil In The White City, he pitted the very best and very worst of human nature against each other as the collided in the 1893 World’s Fair Chicago. In Thunderstruck, Larson followed the development of Trans-Atlantic communication, Marconi and a killer who was caught using the new invention. In all of these, Larson seeks to present a time that was a turning-point in history. His newest, In The Garden Of Beasts, elucidates some of the everyday life in Berlin at the beginning of Hitler’s regime. Larson’s main thesis seems to be that if hindsight is 20/20, then the circumstances surround Third Reich Germany were not only short-sighted, but blurred as well. 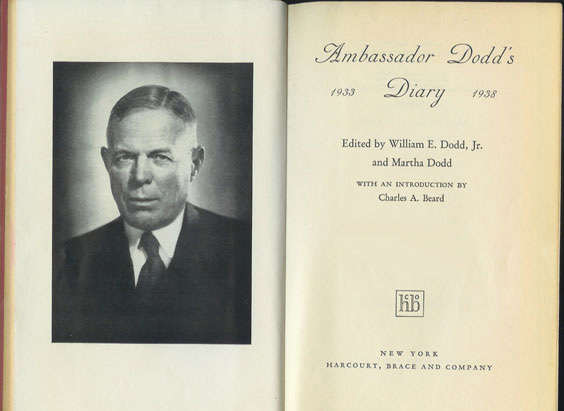 The book focuses on the US Ambassador to Germany, William Dodd. 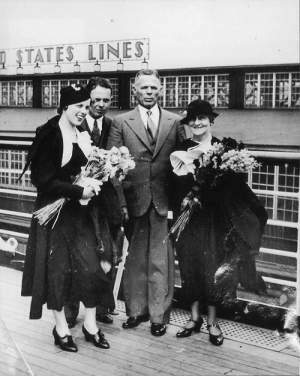 He accepted the post from President Roosevelt in 1933 and moved to Berlin, bringing his family along — Wife Martha (Mattie), son Bill, and daughter Martha. A professor at the University of Chicago, he was hardly the obvious choice (though he had studied in Leipzig years before and spoke German fluently). He was not a politician, or wealthy. He was rather looking forward to a quiet retirement on his Virginia farm to reenact his Jeffersonian philosophy and finish writing his monumental history of The Old South. Yet it seems his desire to leave a greater mark overcame his initial leanings and he settled into working at Bendlerstrasse 39, near the famed Tiergarten. Dodd struggled from all angles. 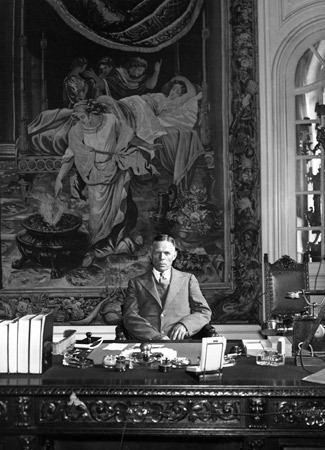 He was put in the impossible situation of collecting exorbitant reparations from Germany, owed from the Treaty of Versailles; he eschewed the typically ornate and grand lifestyle of a European ambassador; he was constantly deflecting negative comments from his own State Department; and he was trying to decipher just what was going on in the new German government. How could anyone, let alone a professor untrained in diplomacy, be expected to predict what was to come? There were inklings of political unrest, often explored by Larson through the eyes of daughter Martha who seemed to have little discrimination in choosing her lovers or even her casual dates. Her beaus included Rudolph Diels, head of the Gestapo in ’33 and ’34; Ernst Udets, a high-placed Luftwaffe officer; Louis Ferdinand, the Prince of Prussia; Ernst Hanfstaengl, an aide to Adolf Hitler; and Boris Vinogradov, a Soviet intelligence (KGB) official. 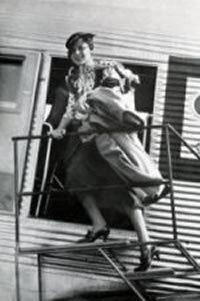 Based on her owns accounts, she was both excited by the adventure of it all, and oblivious to the true underpinnings of the Reich. Indeed, even Americans were doubtful of the reports that made their way across the Atlantic. Incidents, at first, were sporadic and seemingly random — and quickly quelled with an official apology from the government. They were written off as growing pains experienced by every revolutionary movement. Yet just under this peaceful facade boiled a caustic formula that was to disfigure half of the world. Title page of Dodd’s diary, complied by his children. One of Larson’s main sources. 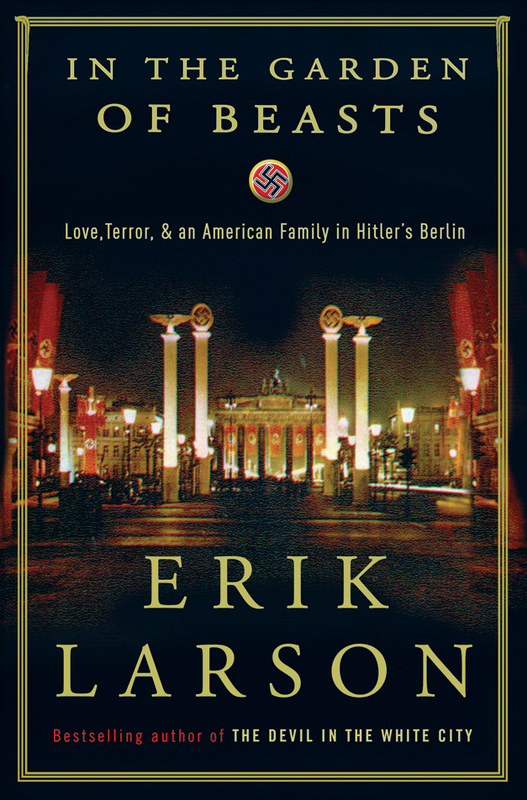 Larson again uses primary sources for his research as well as archived diplomatic documents and old maps to recreate the Berlin of the early 1930s. The voices of his subjects come through very vividly. What is somewhat lacking is the sense of tension present in his previous books. I think this comes mainly from the fact that we, as modern readers, are completely ignorant on his topics. In this case, although I knew nothing about the Dodds and their milieu, I was certainly very familiar with the time and knew what was to come. Somehow, being aware of this made their story less shocking or revealing. Of all of those involved, Martha is the most fascinating. Her naivete is stunning and I wish the book focused on her even more, though I imagine there was less extant resources regarding her. Still, Larson has once again resurrected a story that proves truth is stranger than fiction. Thanks to the folks at Crown Publishing for the advance reader’s copy. Wow, thank you so much! I really appreciate it. Just wanted to stop by to say that I love your reviews. They are always so well-written and thoughtful. Plus you have great taste in books!